Dealership customer experience tracking uses tried and tested observational research tools and techniques adapted specifically for dealership customers. At Konvergence we have been tracking customers in our projects for over 12 years. We have refined the tools and techniques we use to track customers to make sure we can capture as much useful information as we can. When you are developing your plan for a dealership customer experience research project, (see Dealership Discovery), you will need to make some decisions about strategy before you can plan in any detail about what exactly you will do. As with any field research, you need to make some ‘higher level’ decisions before you will be able to work out who will do what, where, when and for how long. With these decisions in mind, we have listed some questions that you can use to prompt discussion with your team. With each question, we have given you our thoughts on what to think about, along with some tips and tricks that we have learnt along the way. What should we focus our dealership customer experience research on? 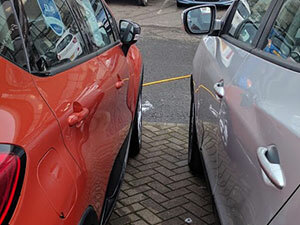 We use dealership customer experience interviews as one of the core techniques of Dealership Discovery, a research and consultancy programme designed to improve experience and efficiency in physical dealership environments.